Marquette, MI – April 14, 2015 – Save yourself the hassle of cooking and cleaning at home tonight. 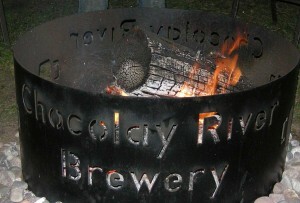 Head out to The Bayou Restaurant and Chocolay River Brewery and treat yourself to some great food, meet friendly people, and sample some of the best local craft brews in the area. Tim Soucy bought the building ten and a half years ago. Don’t let the name fool you, the food isn’t Cajun. Tim renamed the former Harvey Inn in honor the local Chocolay River bayou, which is right next to the restaurant. Tim says that the name, “just fit. 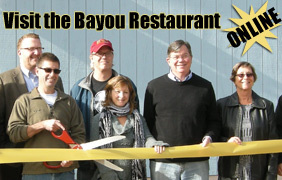 Everyone who knows the area, knows about the bayou.” Since then, Tim and his crew worked hard to move away from the original image of the Harvey Inn and built a family friendly restaurant atmosphere. 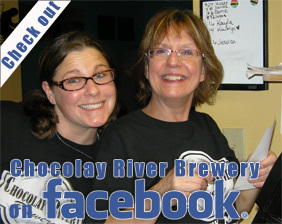 They added the Chocolay River Brewery and several local craft brews to the menu. They brew all their beer in house, so you know you’re getting a delicious, hand crafted brew. Don’t forget to keep checking back – Brewmaster Grant is always experimenting and adding new flavors. The Bayou is more than just a restaurant and brewery. Graduation and wedding season is heating up and the Bayou is now offering catering. Call Tim at 249-1338 and book your event at the Bayou Restaurant. With a large outdoor deck and backyard area, they can to host your party or reception, or deliver the food and brew right to your venue of choice. The Bayou is the place to be this summer: pig roasts, golf outings, and horseshoe courts in the back yard. Play horseshoes during the day, enjoy Brewmaster Grant’s newest summer brews while relaxing by the fire pit after the sun goes down. There is always something to do at the Bayou. 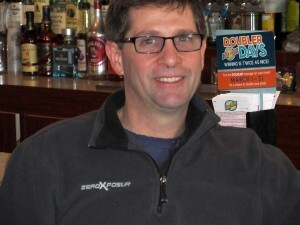 Owner Tim Soucy and his crew are ready with the best breakfast, lunch, and dinner specials seven days a week. Just follow the Pure Michigan signs to the Bayou’s location on Main Street in Harvey. It’s right on the Chocolay River bayou. Better come hungry, because you’ll always find something good to eat: homemade soups, the popular Friday Fish Fry, and Saturday Prime Rib specials, just to name a few. 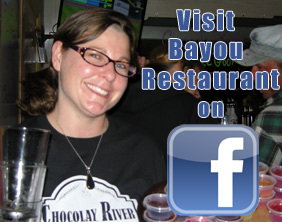 Like Tim says, “The Bayou Restaurant is a fun place to be, come out and enjoy yourself!